The Kursaal resident, who works as a self-employed music teacher, received an automated phone call at around 2.30pm on 23rd March, saying that HMRC was filing a lawsuit against her for an unpaid tax debt and that she needed to speak to a case worker. Her call was then transferred to a bogus HMRC officer, who told her that HMRC had audited her and secured an arrest warrant over a fake debt of more than £13,800. He said she could stop further actions if she made an immediate payment against the debt. After more than two hours on the phone, she then transferred the money to the scammers. It was later that evening that she realised she had been conned and reported it to Action Fraud. “I usually keep myself vigilant against scams but I hadn’t actually heard of this one and it was so convincing to begin with,” she said. “It came at the perfect time for the scammers because I’d recently been in contact with HMRC about self-assessments, so it didn’t seem entirely out of the ordinary that they would be contacting me. Last month, HRMC revealed that it received more than 60,000 reports of scam calls in the six months leading up to January 2019 – an increase of 360% compared to the previous six months. Many of them followed the pattern described by the Southend resident. 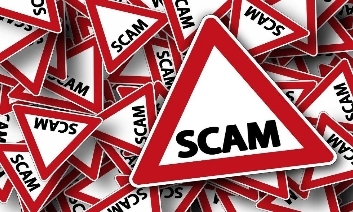 Carl Robinson, Director of Public Protection at Southend-on-Sea Borough Council, said: “This is a sophisticated and high-pressure scam that has tricked at least one local resident out of her hard-earned savings. “The reality is that there may be many other local people who have fallen victim to it whom we are simply unaware of. According to the website moneysavingexpert.com, victims of the scam have reported scammers ringing to tell them that they are suspected of tax fraud and are about to be arrested. Calls often come from a number similar to an HMRC one. In some cases victims have reported scammers 'cloning' an HMRC number, so that a genuine HMRC number appears on the screen. This is known as 'number spoofing' and is something Action Fraud – the UK's national reporting centre for fraud – has previously warned about. The fraudster will then ask their victim to confirm details, such as their name and postcode, before telling them how much they 'owe'. If challenged, fraudsters then begin to give elaborate threats, for example claiming that they are dispatching police officers to arrest them, or that they will freeze their passport – neither of which they can do. Victims are then pressured into giving their card details, which enable the scammers to take money from their account. Recognise the signs. Genuine organisations like banks and HMRC will never contact you out of the blue to ask for your PIN, password or bank details. Stay safe. Don't give out private information, reply to text messages, download attachments or click on links in emails you weren't expecting. Take action. Forward suspicious emails and details of calls claiming to be from HMRC to phishing@hmrc.gsi.gov.uk and texts to 60599, or contact Action Fraud on 0300 123 2040 if you suffer financial loss. The Gov.uk website also has more info on how to avoid and report scams.